One of the most important pieces of companion software to a mobile device is the desktop syncing solution. Apple has iTunes, Microsoft has Zune, RIM has BlackBerry Media Sync, and Android has a number of 3rd party solutions including the popular doubleTwist. 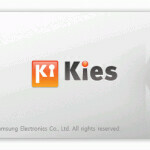 Regardless of mobile OS, if you have a Samsung phone, the solution for you is Kies. It took a few days since the launch, but Kies Beta for Mac finally has support for the Galaxy Tab 10.1. The Kies software helps users sync contacts to various services including Google, Outlook and Yahoo. It also helps transfer music, video and photos between your mobile and desktop. Kies even lets you buy apps for bada and Windows Mobile (<6.5) devices. In general, Kies will also notify you if there are any firmware updates for your device, but unfortunately that feature doesn't work with the Galaxy Tab 10.1 just yet, although you can still get updates over-the-air, so it's not such a big issue. Still Kies is a nice solution for controlling the media on your device, so definitely give it a go if you've got a Samsung.